An 8-month-old baby died after being left inside a hot car for three hours while the infant’s parents and grandmother got high on synthetic cannabis, according to court testimony. A New Zealand court heard evidence on March 12, according to The Herald, in a trial against the child’s grandmother, who faces charges of manslaughter. Isaiah Neil was unresponsive when he was found by his father outside the home of his grandmother, 54-year-old Donna Catherine Parangi. The child’s tragic death occurred in Ruatoki, New Zealand, on November 2, 2015. The child’s parents, Shane Neil and Lacey Te Whetu, have both pleaded guilty to manslaughter and are now key witnesses in the trial against Parangi. The grandmother has entered a “not guilty” plea. Donna Parangi has been found guilty of manslaughter for the death of her 8-month-old grandson. 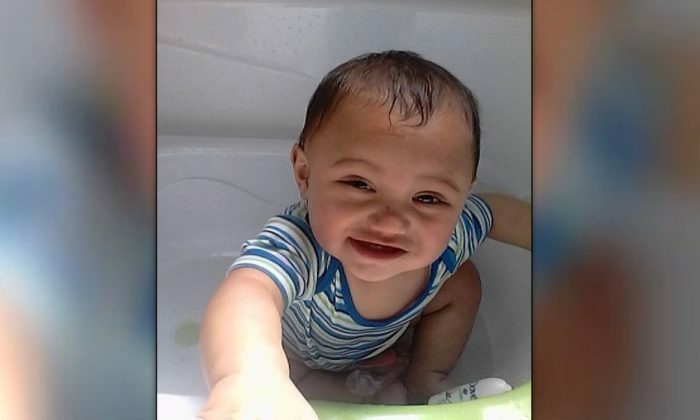 The jury at the High Court in Hamilton on Tuesday heard about the panic that gripped the family when they realized Isaiah was dead from what the father maintains is heatstroke. The cause of the baby’s death is being disputed, however, as a post-mortem examination also discovered marks on the baby’s body unrelated to overheating. Parangi’s defense lawyer Susan Gray told the jury there was “considerable doubt” that hyperthermia—the technical term for heatstroke—was the cause of death. According to New Zealand news service Stuff, the baby was found to have bruising to his forehead, left side of his body, and his abdomen. He also had a bite mark on his right elbow. Neil told the jury he had no idea how the child came to have those injuries. Neil told the jury that on the day his son died, Te Whetu, Parangi, and he were smoking synthetic cannabis. He said all three became drowsy and fell asleep for three hours. When he woke up at around 3:30 p.m., Neil told the court, he went outside to find his infant son inside a “very hot” car. The child was unresponsive, so Neil said he rushed the baby inside and woke Te Whetu, who is Parangi’s daughter, to decide what to do next. Te Whetu reportedly said she could still see the baby breathing, so the couple put the baby in his cot and went back to sleep. Neil said he woke up again at around 6 p.m. and found the baby unresponsive and soaked in sweat. He told the jury the two called emergency services and while they waited for an ambulance to arrive, they sprinkled the baby with cold water to try to revive him. Paramedics tried to resuscitate Isaiah inside the ambulance but were unsuccessful. The child was then was pronounced dead. The prosecution’s case alleges that Parangi is at least in part responsible for Isaiah’s death. On the day the boy died, Parangi, Te Whetu, and Neil reportedly drove to a nearby town to buy drugs. When they returned, they parked the car and left the sleeping child inside. There was apparently no agreement as to who would get him out of the car. “I just assumed someone else would,” the child’s mother said, according to Stuff. The trio then reportedly got high and fell unconscious. During the trial, Te Whetu said her drug addiction was so severe that she was often overcome by the effects of the drugs and would fall into a stupor and lie on the floor in random parts of the house. Te Whetu said that Parangi was also addicted to the synthetic drug and was often so intensely under the effect of the narcotic that she was unable to provide care for the infant either. She said her mother smoked synthetic cannabis daily. The trial will continue and is expected to last three weeks.